This article originally appeared in BizBash, Aug. 2018. To read the original, click here. 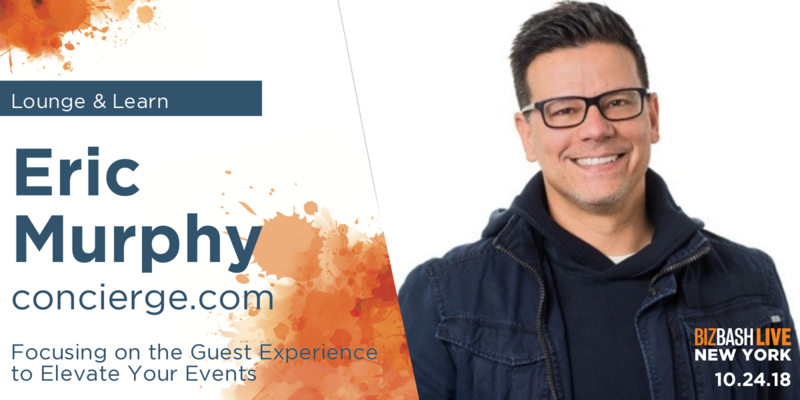 To hear even more on this topic, come see Eric at BizBash Live New York on Oct. 24 where he will be presenting, "Focusing on the Guest Experience to Elevate Your Events." And who else has a greater professional opportunity to make people feel important than an event planner? Yet most event planners put a disproportionate amount of attention on the logistics of producing the event and forget about how each individual is going to experience it. The feeling of being important can make or break the guest experience — and no one knows this better than concierge.com. Our motto? Being a ‘VIP’ is no longer the exception. It is the expectation. Our dynamic guest management software and event concierge team have become the ‘secret sauce’ for brands looking to elevate their interaction with their customers, fans, and guests. From personalized digital invites and registration to real-time communication and customized guest itineraries, every detail is managed so that event-goers feel special every step of the way. This level of customer service ensures that no one feels like just another number in a spreadsheet, but rather an important and valued guest of the host. Let the rave reviews begin!